SYRACUSE — It’d be a pretty tall task for Wawasee’s wrestlers to replicate what they did last winter. An Indiana High School Wrestling Coaches Association Class 2A state title, the program’s first IHSAA sectional championship in eight years, 14 regional berths, nine semi-state appointments and three IHSAA State Finals qualifications are each impressive accomplishments in and of themselves, but to do all that in a single season is flat out special. The Warriors aren’t focused on equaling last year’s success, however. Instead, they want to do even better. The Warriors certainly have the horses to make another special run. 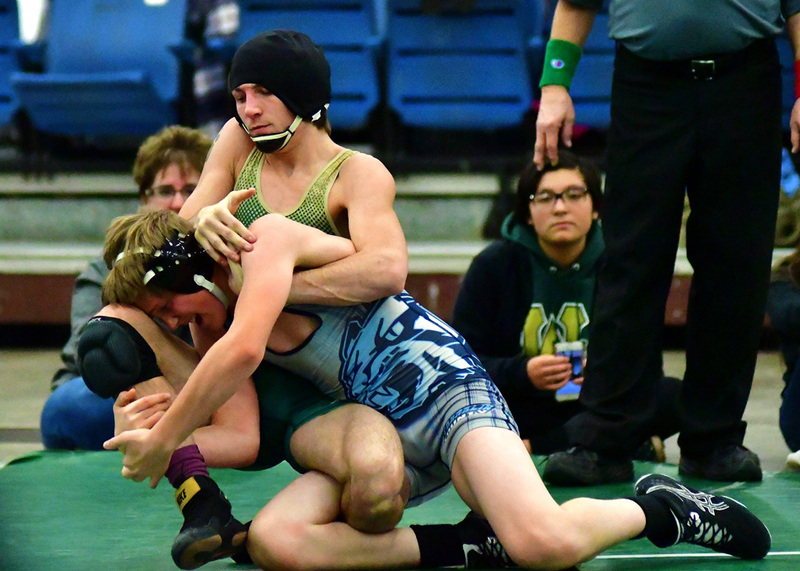 Two of Wawasee’s state qualifiers from last season return in senior Geremia Brooks and freshman Jace Alexander, and the Warriors have a third state finalist back in senior Braxton Alexander, whose heartbreaking injury default in the ticket round at last season’s East Chicago Semi-State prevented him from a second straight state finals appearance. In fact, most of the Warriors’ roster returns from last year’s banner campaign, including seniors Braxton, Brooks, Damien Rodriguez, Alex Castro and Chris Schuller, as well as a number of skilled juniors in Garrett Stuckman, Isiah Faurote, Logan Baugh and Fernando Hernandez. The defending IHSWCA state champs are looking to pick up where they left off last season, and they enter their 2018-19 campaign after putting in the work in the offseason. In addition to the team’s core of veterans, there are a number of talented freshmen joining the ranks this season, and this year’s senior members are showing them the ropes and teaching them exactly what is expected of a state championship squad. Brooks is coming off a particularly impressive junior season. The returning Warriors 132-pounder collected 40 wins for himself on the way to a seventh-place result at last year’s IHSAA State Finals and will return to the 32-pound class this year. While Brooks lends his knowledge and experience to the team, he also brings an exciting and unique style of wrestling to the roster and a true competitor’s mindset. Like the Warriors in general, Brooks doesn’t want to settle for a repeat of what he did last winter. He’s demonstrated growth both on and off the mats, says his coach, and the stage appears to be set for a memorable senior season. Brooks and company open their season at the Warsaw Wrestling Invitational this Saturday and will host their super duals the following weekend, Nov. 24. Between a deep cast of returning wrestlers, some talented newcomers and the right mindset, this year could be even better than last. Stay tuned, says Brooks.